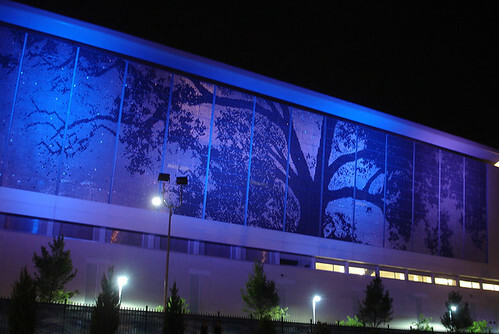 This week’s picture is a night shot of the Cree Shimmer Wall. It was taken this past weekend while I attended the grand opening of the new Downtown Raleigh Amphitheater. I will have a post up soon with more pictures and my take on the new venue later this week!